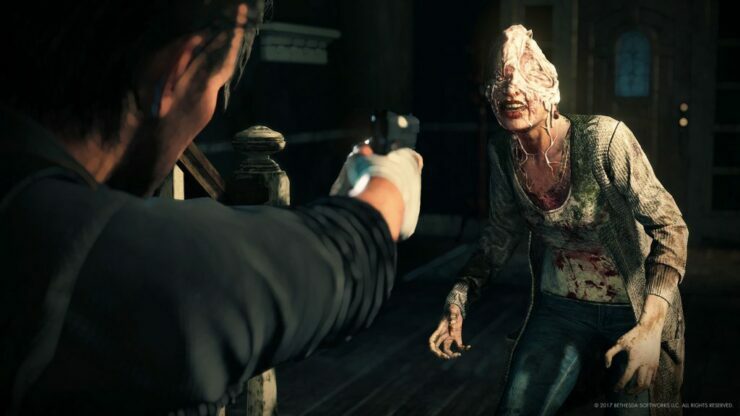 The Evil Within 2, the second entry in the series developed by Resident Evil series creator Shinji Mikami and his studio Tango Gameworks, will release this October in all regions, Bethesda confirmed during its E3 2017 press conference. The upcoming survival-horror game, which promises to be even more disturbing than its predecessor, sees players take on the role of detective Sebastian Castellanos once again as he enters a world filled with nightmares to save his daughter. The Evil Within 2’s announcement isn’t exactly surprising, as the game has been leaked ahead of Bethesda’s E3 2017 press conference by an ad shown on Reddit yesterday. The Evil Within 2 launches on October 13th on PC, PlayStation 4 and Xbox One. We will keep you updated on the game as soon as more comes in on it, so stay tuned for all the latest news.